Listen to this week's Health & Wealth Update, with a shorter version of KSMU's Jennifer Davidson's story. This week -- we’re hearing about the Medicaid expansion debate down in West Plains -- the seat of rural Howell County. A study by the Missouri Budget Project shows that Medicaid expansion would have its most dramatic impact in the state’s rural areas. In Howell County specifically, up 10 percent of the population would be eligible for coverage under the expansion. That’s more than in any urban county. So, the expansion is gaining some support in West Plains, but as KSMU's Jennifer Davidson reports -- also some resistance. Listen to KSMU's Jennifer Davidson's full story here. 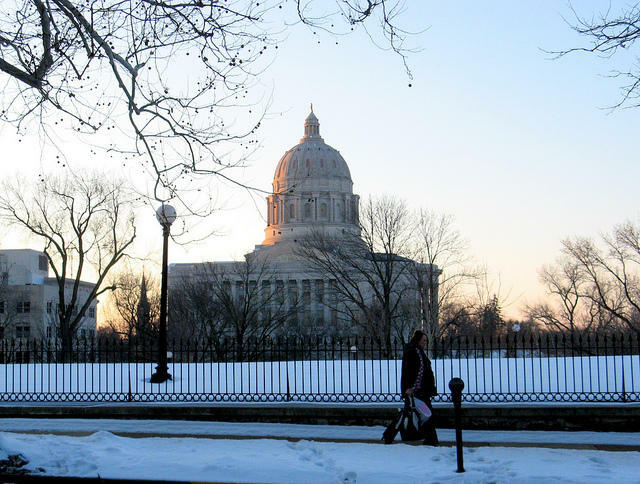 There’s a fierce battle raging behind the walls of the Capitol building in Jefferson City; it’s over whether to expand Medicaid in Missouri. Governor Jay Nixon supports the expansion, and is pushing it as, quote, “fundamentally a business decision.” And he’s gaining ground in some traditionally conservative areas. The issue is mired in politics, because Medicaid expansion is one leg of President Obama’s sweeping health care overhaul. Last year, the US Supreme Court upheld the Affordable Care Act, but said that states could refuse the part that would expand Medicaid in their individual states. Nixon says it’s time to stop looking at this decision in a “binary way”—it’s an economic issue, he argues, one with a compelling human element attached. And some community leaders in heavily Republican areas are starting to agree. Last week, the West Plains Area Chamber of Commerce took the step of endorsing Medicaid expansion, even though President Obama—and his health care plan—have been pretty unpopular in rural, south-central Missouri. Dr. Josh Cotter is the chair of the Chamber of Commerce board here. “We felt, with the Medicaid expansion, that it made good economic sense. Good health care policy can be good economic policy. And with what we looked at, it will expand the number of jobs in our area by over 1,200 in the first year – in 2014 alone,” said Dr. Josh Cotter, chair of the board at the West Plains Area Chamber of Commerce. Cotter said so far he’s not had any negative feedback from Chamber members. He added that the endorsement comes with a caveat. “One of the things we did to protect Missouri’s interest is: we said part of our endorsement is contingent upon that trigger, that if the federal funding is not maintained, Missouri isn’t left holding the bag,” Cotter said. The board of the local hospital, Ozarks Medical Center, has also endorsed expanding Medicaid. Here’s what that would change in Missouri: it would raise the threshold of coverage from about 19 percent of the federal poverty level to 138 percent. So, for a family of four, that eligibility threshold would jump from an annual income of $4,475 to $32,499. Right now, Missouri does not provide Medicaid coverage to non-custodial adults, no matter how poor, unless they are disabled, low-income pregnant women, or seniors. That, too, would change; individuals under 65 who are here legally would suddenly be covered if they earned less than $15,302 a year. An estimated 300,000 more Missourians would have health care. But this expansion comes with a steep price tag at both the state and the federal levels—and that’s what has opponents most concerned. Here's the math: for the first three years, the federal government would pay 100 percent of the state’s Medicaid costs—in FY 2014, that’s just under one billion federal dollars, and closer to two billion for each of the next two fiscal years. In 2017, Missouri would pick up 5 percent of the tab, and gradually slide up to paying 10 percent in 2020 and subsequent years. Linda Luebbering, the state budget director, said that means in FY 2017, the state would pay 30 million out of its general revenue funds, and about 24 million from other state funds. In FY 2021, when the state begins paying its full 10 percent, Missouri would be paying 143 million of general revenue and 116 million from other state funds. Luebbering says a big part of this puzzle is the millions of dollars in savings and additional revenue that Missouri will see if it opts in. She says that will come from sources like individual income tax from health care providers, and doing away with the state’s high insurance risk pool. Luebbering says it’s a conservative estimate to say that, even in FY 2021, when the state is paying its full 10 percent, it will still see a net revenue of 4 million dollars because of this. Another concern opponents have, though, is that the Medicaid system itself is broken. I asked Nixon about this. Specifically: why isn’t he trying to first reform Medicaid, or to wean Medicaid recipients off the program and into the private insurance sector? “There’s a number of things you can do in that area,” Nixon said, mentioning co-pays, cost-share programs, and a focus on preventative health care. “There’s all sorts of things [to address reform], but none of those are possible if you don’t have the money and the expansion,” Nixon said. Although the governor is gaining ground among some conservative business groups, ultimately, he’ll need the support of a veto-proof, Republican majority House and Senate, and he’s only got a few months to do it. That’s because the Medicaid expansion plan goes into effect on January 1, 2014. And that support is not yet there. For example, the state representative for Howell County, Republican Shawn Rhoads, told me by phone that even though two heavyweights in his district have endorsed Medicaid expansion—the Chamber of Commerce and the district’s only hospital—he’s still not on board. Rhoads says he values their opinions and that he’s “keeping an open mind,” but he has other constituents who are worried that the fed is borrowing from China to keep these programs going. Rhoads says he is listening—but so far, he’s had about 50 emails from constituents saying they don’t want the Medicaid expansion. And the emails from people saying they do support it? Those, he says, he can count on one hand. After rejecting House Democrats’ Medicaid expansion bill, Republican Jay Barnes of Jefferson City rolled out his plan Tuesday. The Associated Press says that plan would expand Medicaid to 180,000 more Missourians -- that’s only a bit more than half of what Governor Nixon proposed. 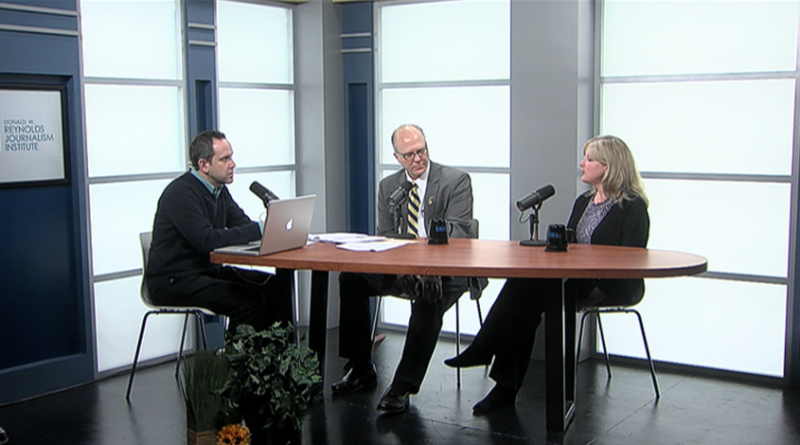 This week on the show: the Medicaid expansion debate continues. Plus: what Mid-Missourians are concerned about as the President prepares for his State of the Union address. During a visit with business and healthcare leaders on the MU campus Thursday. 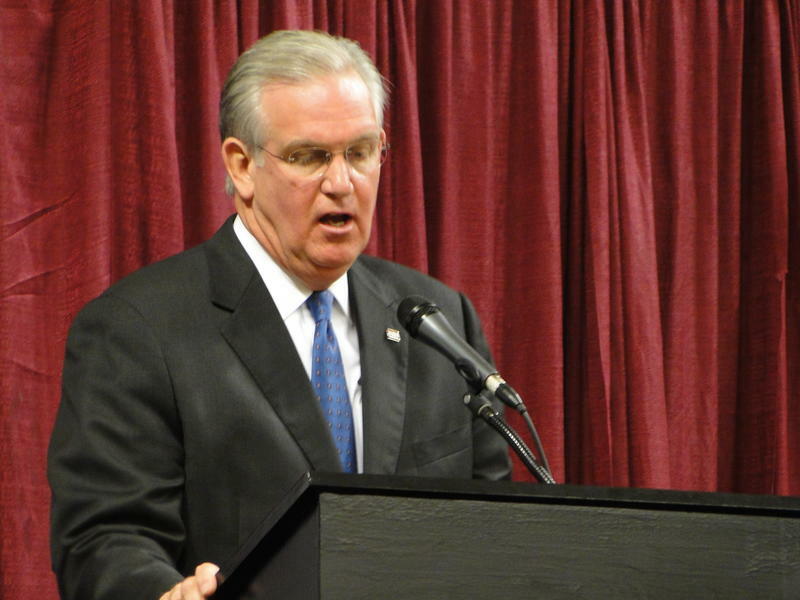 Governor Jay Nixon said expanding Missouri's Medicaid program would bring more federal money to the state and create about 24,000 new jobs in the first year. Nixon called the expansion a smart business decision that would bring Missouri taxpayer money back into the state.